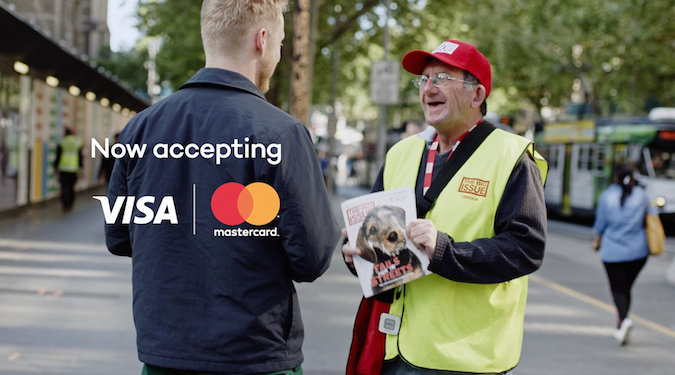 Visa has launched its latest content campaign, starring Chinese-Australian actor Ronny Chieng, to raise awareness of its mobile payments function. The three part satirical series features Crazy Rich Asians actor and Daily Show correspondent Ronny Chieng. Chieng is unwittingly plunged into ‘Urban Survivalist’, a surprise reality show that challenges celebrities to survive 24 hours without a wallet in a big city. The aggressive producers’ plans are ultimately thwarted when Chieng is able to navigate his day regularly, paying for food and clothes with his phone. Jac Phillips, Visa head of marketing APAC, says while there is a strong demand for mobile payments in Australia, there is still some confusion about how and where they work. “Australia is a nation of tappers – 94% of Visa’s face-to-face transactions are tap to pay,” explains Phillips. Mobile payments in Australia have been picking up steam over the passed few years since Apple and Google introduced their respective NFC (near-field communication) enabled payment solutions – Apple Pay and Google Pay. For the moment, Google’s platform is available to more of the Australian population – with Westpac and NAB customers still unable to utilise Apple Pay. While Visa’s main competitor, Mastercard, does also offer mobile payment options through Google Pay, Apple Pay and Samsung Pay. Visa offers a larger suite, including Apple Pay, Google Pay, Samsung Pay, FitBit Pay, Garmin Pay, Citi Pay and NAB Pay. “We identified an opportunity to educate Australians about the convenience and security of the many mobile and wearable solutions available today. Protected by multiple layers of security, mobile payments really do make life easier for those of us constantly on the go,” continues Phillips. The ‘Urban Survivalist’ campaign is set to run over television, digital, cinema and outdoor. Directed by Australian director Erin White, the campaign was developed by creative agencies BBDO Sydney and New Zealand, in partnership with comedian Chieng and comedy writer Declan Fay. “Urban Survivalist is a fun reality TV show spoof that aims to educate consumers around the benefits of paying with Visa on your mobile. We hope Australians will enjoy watching it, as much as we enjoyed making it,” adds Phillips. In addition to the content series, Visa is setting up a coffee cart at Manly Wharf from 18-22 February to encourage Sydneysiders to activate their mobile payments. Between 6:30 and 9am, anyone paying with Visa on their mobile will receive their coffee for only five cents.